Liberal Republican, made early attempts to run for Massachusetts Secretary of State and legislature, losing all times. He was Chairman of the Finance Commission of Boston, 1961-62. 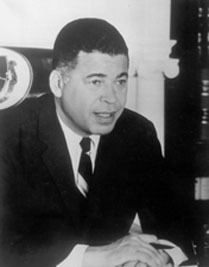 Brooke became the first black popularly elected to Senate since Reconstruction. Defeated by Paul Tsongas.